Do you want some more information on the side effects of teeth grinding? If you suffer from teeth grinding, also known as teeth clenching and bruxism, then you need to learn more about the harmful effects of this condition. It is especially true if you think you are now starting to experience some of the many side effects that often come with grinding your teeth. Since everyone is different, you may experience a different effect than another sufferer. It all depends on when and how often you grind your teeth. While the reason why people grind their teeth is still somewhat of a mystery, it is believed to be directly related to some physical or psychological factor taking place in their lives. That said, who tends to have a higher chance of being diagnosed with bruxism? Dentists believe those who are undergoing much stress or experiencing a high amount of anxiety are likely victims. Moreover, you might grind your teeth if you are taking certain psychiatric medications, are very competitive or have a diagnosed mental health disorder. There are a variety of side effects that someone who grinds their teeth may experience. Many people grind their teeth unknowingly, so you may want to see a dentist if you have one or more of these side effects. 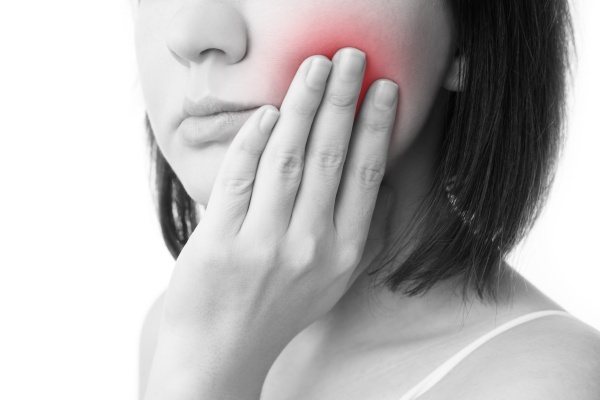 Jaw soreness, stiffness and pain are common side effects that come with grinding your teeth. This soreness comes from the constant pressure that is placed on your jaw and surrounding muscles. Your teeth withstand a great deal of force when you grind or clench. After extended periods of grinding, your teeth will show signs of damage. They can fracture, loosen or wear down. You may even start to show signs of tooth decay since grinding damages the enamel. Constant migraines, headaches that come and go and dull pains are common side effects of teeth grinding. Many people sleep through their grinding or clenching. That said, it is possible for bruxism to interrupt your ability to sleep through the night. Earaches are a common side effect of teeth grinding. The affected joints sit close to the ear canals, so the pain can radiate through this area. You can overcome teeth grinding through a few methods. A dentist can provide a mouthguard to help those who grind or clench at night. More holistic approaches, such as stress relief techniques, can also reduce jaw clenching. Putting off treatment for teeth grinding will only lead to further damage and pain. It may seem like a minor issue, but extreme cases can have extreme consequences. Give us a call to set up an appointment if you have any of the symptoms above. Together, we can create an effective treatment plan. Request an appointment here: https://memorialcitysmiles.com or call Memorial City Smiles at (713) 360-3174 for an appointment in our Houston office.